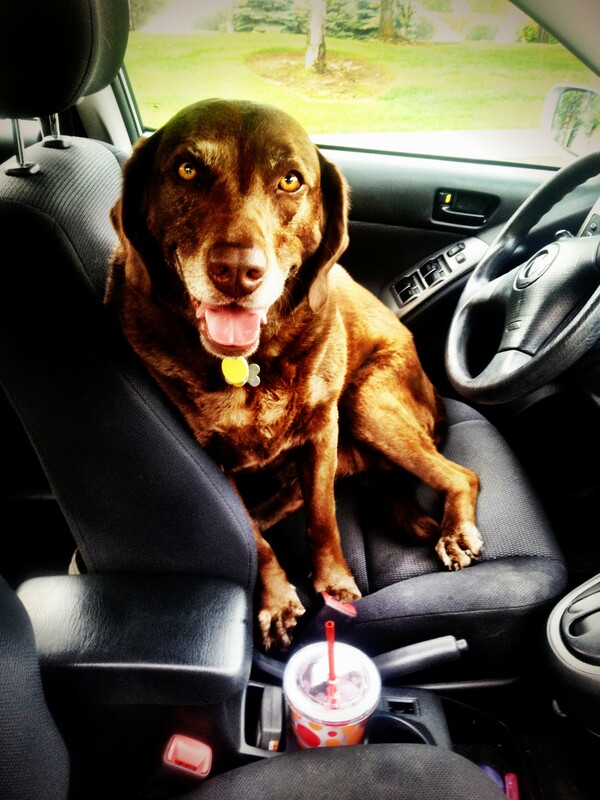 Who Let the Dog….In? 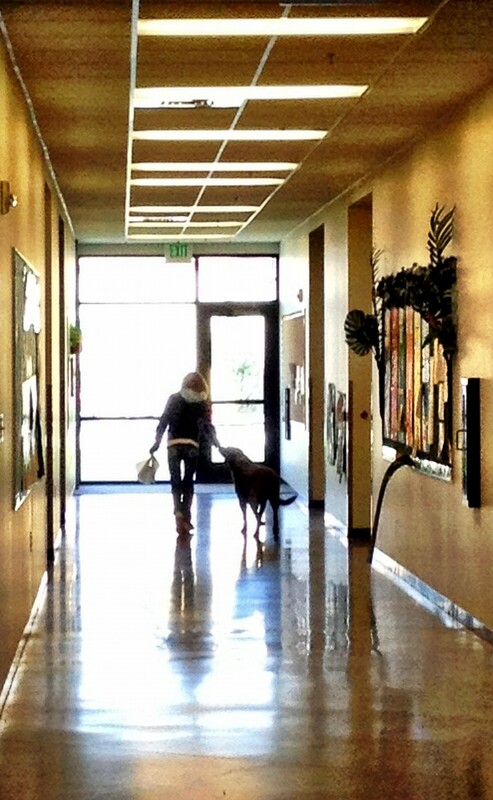 7 Lessons Learned From Bringing My Dog to School. This is Abby one morning before school. Excited, much? 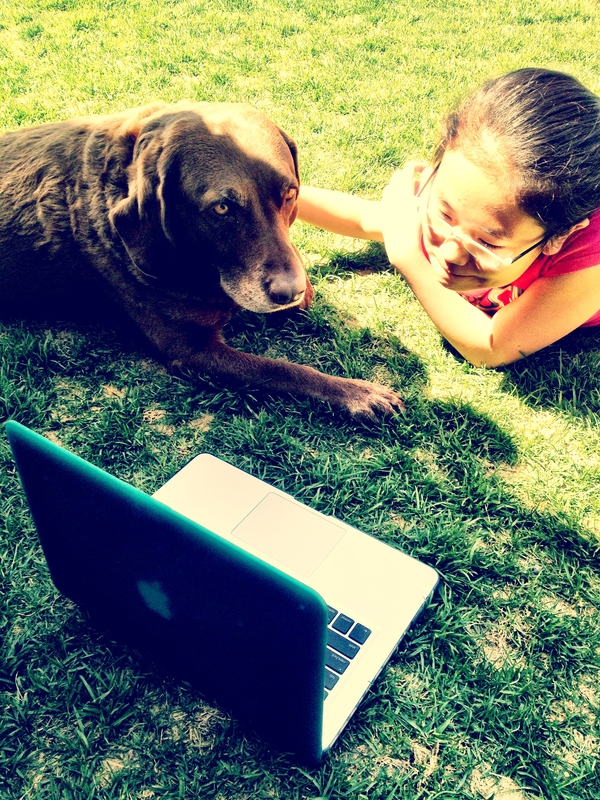 When students needed help, Abby was excellent at offering Apple advice. We have a “No Dogs Allowed” policy at my school, which is understandable given the complexity of mixing animals with little people and the unpredictable nature of both. I have a dog whom I adore. 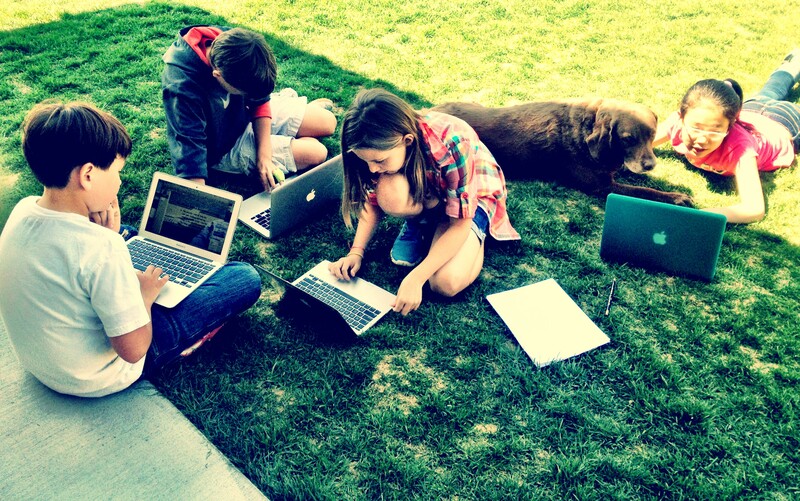 One of our fifth graders was doing a project on the impact of animals on humans. Can you see where my brain immediately went? After seeking all the appropriate permissions, Abby (the best dog in the world) was allowed to start school! I couldn’t have been more proud – of both Abby (the wonder dog) and my school for having the courage to re-evaluate their decision and make an exception in the best interests of the students. Abby was great at monitoring student behavior when working independently. 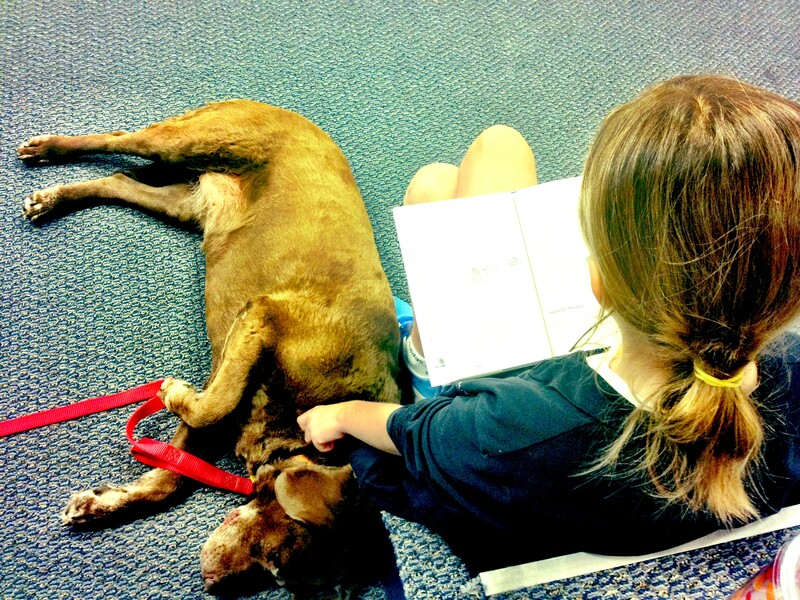 The student and I had done a lot of reading about other schools in which dogs were allowed, and in fact welcomed, at school. 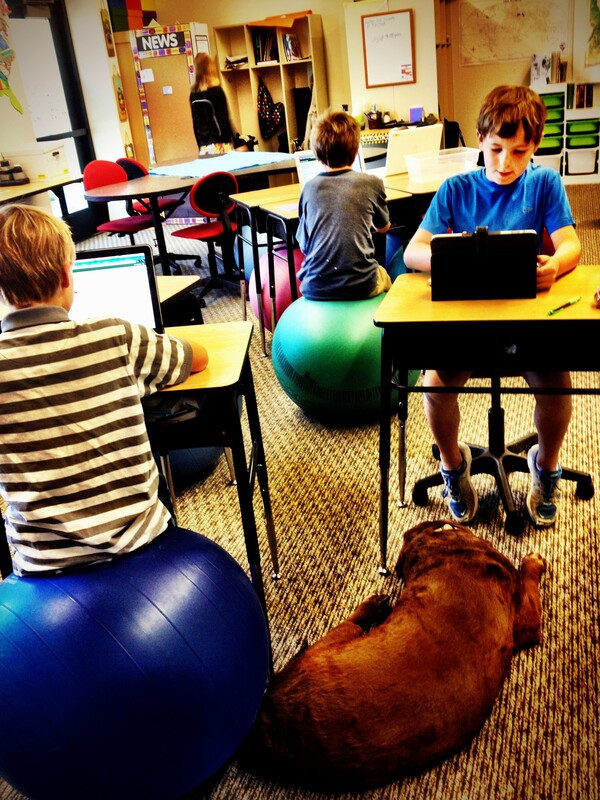 The premise of Abby joining us in the classroom was to see the impact – positive or negative – first hand. While I was pretty confident it would be awesome (our dog being the best dog in the world and all) I was not prepared for…..well, the things I had not anticipated, the learning beyond my expectations. Abby was just as capable overseeing group work outside. Abby was an avid reader and especially enjoyed silent reading in the library. 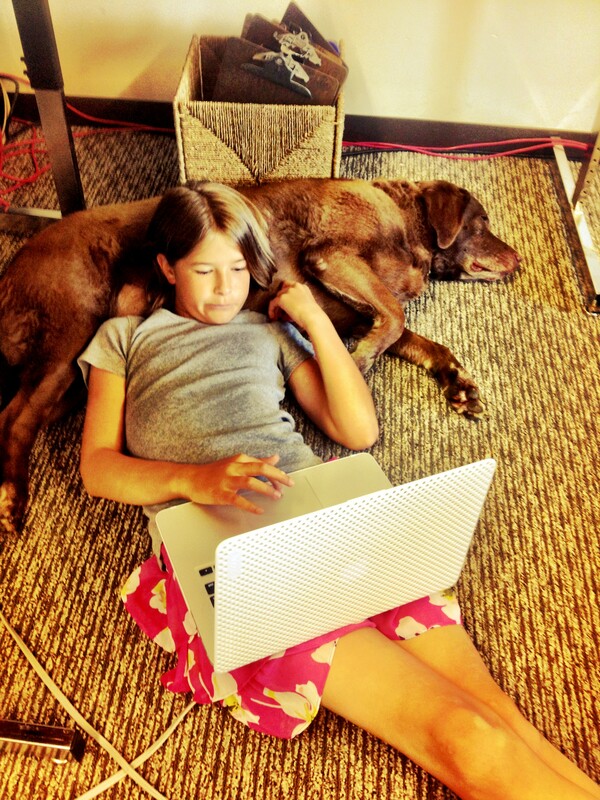 Abby knew when a student just needed a little one-on-one time. Most of what I anticipated, actually happened. What I hadn’t imagined was that bringing Abby to school would actually open up relationships with kids that previously had been a little distant to me. I am one of two fifth grade teachers and our combined ‘class’ of 28 kids (13 in one, 15 in another) do almost everything together. Kids from ‘the other class’ that to me had appeared a little disinterested and didn’t really go out of their way to engage in conversation, were now asking me questions about their work, talking to me about Abby, telling me about their own pets, looking for ways to help out with Abby and telling me how much they loved having her at school. These were not ‘disruptive’ or ‘unengaged’ students prior to her arrival, but there was definitely a void in the connection between us. When they met Abby and saw how much I loved her, an inroad was established and conversations flourished. We connected. As a teacher, I felt like I had a better understanding of these kids, I saw them in a different light – as they did me – and I ended up learning a lot about, with and from them in the last few weeks of the year. There was high demand for her pillow service. On the last day of school, I was reminded that Abby would not be allowed back next year. I was not surprised – this was a one off project – but I was disappointed. Disappointed for me that I would have to leave my gorgeous dog at home each day, disappointed for my kids next year that they won’t get the same experience this year’s class had, disappointed for me (again!) that I wouldn’t be able to share this side of me, this passion, with my incoming class, and disappointed for my school that they were missing the opportunity to make school different. How can I make sure to connect with all students in my class on SOME level next year? I think the answer is to let them bring “their Abby” to school. Their passion. The love of their life. The ‘thing’ that makes the school day go by in a blur and learning seem like a walk in the park. I want them to ‘bring on the weird’ – that love for MineCraft, the ability to knit, the singing voice that is usually reserved for the shower or the bedroom, the doodles, the tech tools, the art skills, the athletic prowess, the philanthropy, the passion for photography, reading, books, art, music, drawing, politics, cooking, baking, sewing, running, jumping, throwing, cars, plane, boats, hot air balloons, hairstyles or even fingernails! Whatever it is, I want them to bring it to school. We encourage this in the younger grades (who doesn’t remember ‘Show and Tell’) so why not in fifth grade? Abby was a great hall monitor! End each day with the wind in your ears! 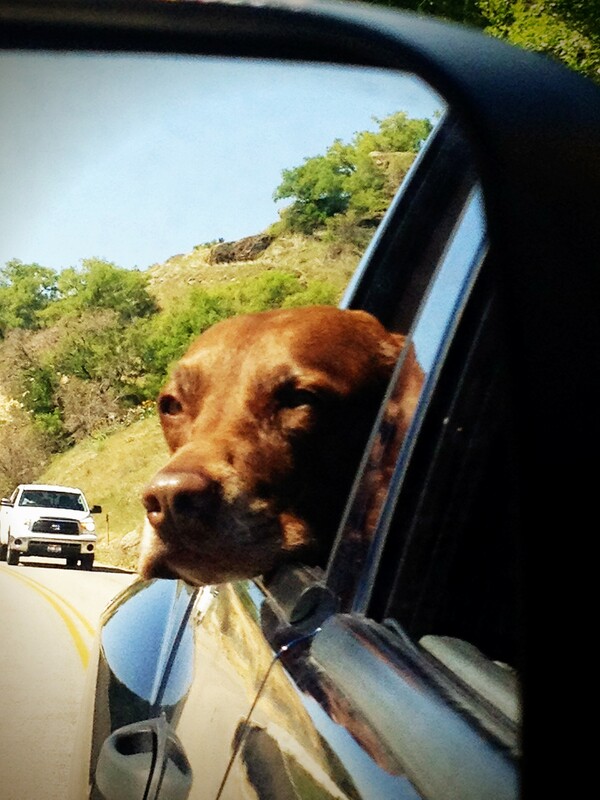 End every day with the wind in your ears!